The traveler of the month is Charisse Sobers! The Barbadian beauty is a financial analyst who has a passion to travel. 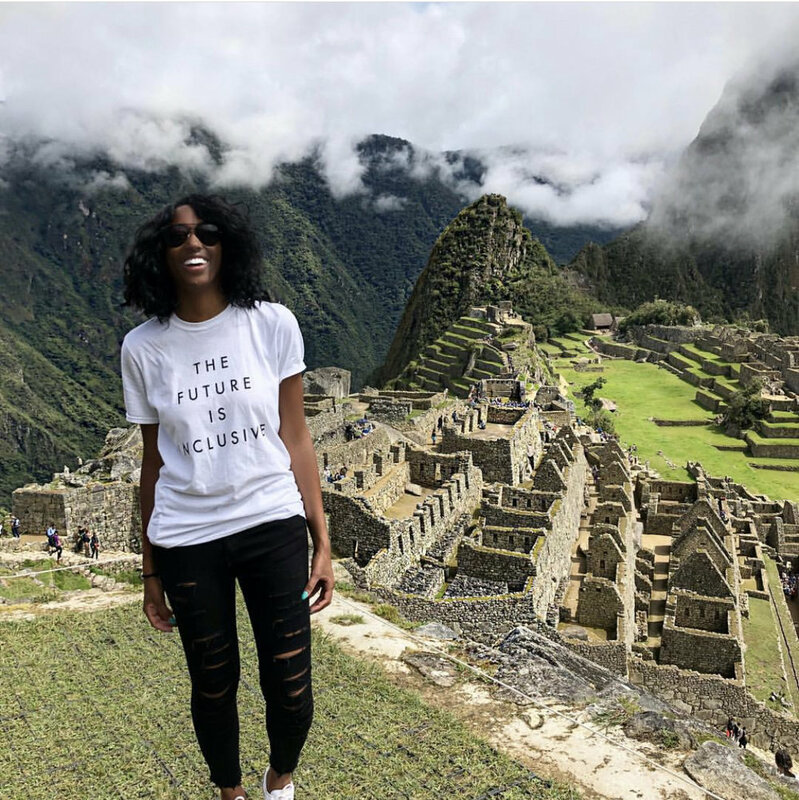 She recently started a blog to highlight her international experiences and teach others how they can fly around the world at a discounted rate. She has acquired over 20 passport stamps while maintaining a healthy savings account. If you want to learn how to travel on a limited budget, prepare a traditional Bahian dish, and read about Charisse’s traumatizing dinner experience, read on! You told me you’ve been traveling since you were an infant. What inspired you to continue travel in adulthood? When I turned 21, I moved into my own apartment with a roommate. We decided together that we would travel to places that we’ve always wanted to visit since we were adults and making our own money. That’s awesome! Do you still travel with her? Yep! We take a trip together every single year. The first trip was to Puerto Rico, following year was Dominican Republic, last year was Colombia, and this year we’re going to Spain and Italy! I’m at 24 right now, but I’ll be visiting four more countries by the end of the year. I’m going to Portugal, Spain, Italy, and Vatican City will be number 28. It’s based inside Rome. It’s basically a country inside of another country. It’s pretty cool. And they have their own laws there too. Is there anything you love more than traveling? Yes, saving money! The purpose of my blog is to teach others how to travel on a budget. Really! What are a few methods you use to travel for less? The number one method I use to travel for less is booking flight deals. All of the trips I booked this year with the exception of one were flights deals. And the one deal I booked without a discount, I paid for with a 1,200 EUR voucher. I also prepare a Google Sheet to keep track of all expenses. This helps me and my trip companions see exactly what we’re spending at all times. I also compare the cost of lodging on Booking.com, AirBnb, and the hotel’s website to get the lowest rate. Do you set a budget for every trip? I aim to stay under $1,000 for every trip including flight, lodging, food, and activities. This is my absolute ceiling and I’ve managed to keep all my trips to date either below this number or extremely close to it. There is misconception that travel has to be expensive, but it is possible to keep it affordable if you’re willing to be flexible on flight dates and lodging. Especially when traveling to certain destinations, such as Mexico, the Caribbean, and South America. I always tell novice travelers that Mexico And the Caribbean are great starter trips. Do you have any advice for newbies planning their first international trip? Where should they go? Don’t go anywhere outside your comfort zone, and go somewhere that appeals to your interest. If you like beaches go to the Caribbean. If you prefer museums, go to Europe. So what are some of your favorite countries? Let’s see. I have to say Barbados is number one, because my family is from there. Colombia is next and Brazil is my third favorite. No, no, take Brazil off the list. The Netherlands is my third favorite. In order for a country to be at the top of my list, I have to want to move to that place…not just vacation there. I would honestly move to Colombia or The Netherlands tomorrow. You would move? What was so special about The Netherlands? I went to Amsterdam! It was amazing. Everyone was really friendly and the food was surprisingly good. I couldn’t live somewhere if the food was trash. I saw on Instagram that you also traveled to other places in Europe. Can you tell me more about that? We flew into Germany and flew out of Paris. We took trains to get from place to place. I booked through Rome to Rio . I also used Thalys to book my train fare from Belgium to Paris. Sounds like you went everywhere! How many countries did you go to? We went to Germany, Belgium, Amsterdam, Paris, and I had a long layover in Copenhagen. Where you jetlagged or should I say trainlagged from all of that traveling? Not really! It wasn’t that tiring because of the way the trip was spaced out. It wasn’t like we were going somewhere new every day. So do you prefer traveling via train or plane? I prefer trains because they’re very convenient. They can sometimes be cheaper than flying too. They have free WiFi, you can bring as many bags as you want without an additional baggage fee, you can also order food and reserve your seats. What about lodging? Do you have a preference between hotels, hostels, and Airbnb? I’ve never stayed at a hostel, and I probably won’t unless there is a private room. I look at hotels first. The only time I’ve done Airbnb was in Iceland. I don’t have anything against it, but I’ve always found it cheaper to get a hotel for the places I’ve been to. I saw that you recently took a trip to Brazil. Did you like it? Brazil was great! The people were friendly, and I loved the cultural aspect of it. It’s also heavily populated with black people. It was nice to see people who looked like me. What was your favorite experience in Brazil? We took this tour and learned how to prepare a traditional Bahian dish called moqueca. It was so good. The woman who ran the tour took us to a fisherman village. It was interesting because the children don’t go to school; they just learn how to fish. I used to think that place was Thailand, but now I really want to go to the Maldives. It’s really expensive to travel there, so I’m not going anytime soon. I also want to hit all seven continents. I’m going to Antarctica last…it’s too much money right now. It’s almost $10,000. I’ll do that when I’m old and retired and have the funds. After Iceland, I need a break from cold places. Are there any countries that you will never revisit? United Arab Emirates is grossly overrated. I wouldn’t say I wouldn’t go back; however, I’m in no rush to visit again. It was basically going to Las Vegas but you’re on a longer flight. Last question and I promise I’ll let you go. Last week, I interviewed a young woman who ate a scorpion. Have you eaten any bugs before? No, but a cockroach went up my pants in Brazil. I was eating with one of my friends and I thought she was kicking me. When I asked her to stop kicking my leg, she gave me this odd look and told me she wasn’t touching me. All of a sudden I felt something run up my leg. I pulled up my pants and saw this HUGE cockroach. I was traumatized. I didn’t wear those pants for the remainder of the trip. Well, that’s all folks! Don’t forget to follow Charisse’s Instagram account @rissepeace and her blog. And if you would like to be featured, comment below.